I got a landmine in my bloodline. I'm not immune to getting blown apart. Rhett Miller and Murry Hammond first partnered up in 1989, when Miller enlisted the latter’s help in producing his debut solo album, Mythologies. Although six years younger than Hammond, Miller proved to be a dedicated musician as he canvassed the Dallas club circuit, playing an blend of folk and British-styled pop to local audiences. He also displayed a knack for storytelling, having previously earned a creative writing scholarship to Sarah Lawrence College. One year after Mythologies‘ release, Miller and Hammond teamed up once again, this time as part of the short-lived Sleepy Heroes. By this time, Miller had moved to Los Angeles and shed the thick, ’50s-style glasses that had become a major part of his image. He and Hammond also began performing in an informal side project dubbed the Ranchero Brothers, although a proposed album never materialized. 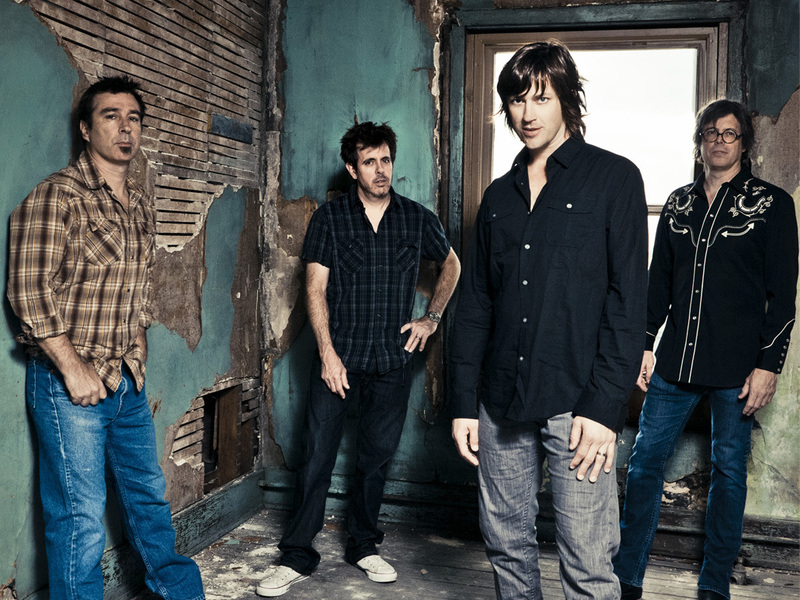 Instead, the musicians returned their focus to Old 97′s, releasing another pop-influenced record with 2001′s Satellite Rides. Miller took a temporary leave after its release to work on a solo power pop record, The Instigator, which was released in late 2002. A period of relative inactivity followed, as the bandmembers found themselves in different cities, with several of them starting families. The hiatus ended in 2004 with the release of Drag It Up, whose subsequent tour featured prominently on the double-disc live album Alive & Wired. Afterward, Miller returned to his solo career with 2006′s The Believer, which found the frontman experimenting with strings and orchestral arrangements. Old 97′s returned to the studio once again in 2008, though, this time holing up in their native Dallas to help channel the energy of their earlier records. The move worked, and the resulting album, Blame It on Gravity, delivered some of the band’s strongest songs in years. While touring the country in support, Murry Hammond launched his own solo career, packaging a wealth of old-timey gospel ballads and locomotive imagery onto the album I Don’t Know Where I’m Going But I’m on My Way. Miller also found time to release a solo album, 2009′s self-titled Rhett Miller, which appeared one year before the ninth Old 97′s record, The Grand Theatre Volume One. Originally intended as a double-album, The Grand Theatre was followed in mid-2011 by a companion record, The Grand Theatre Volume 2.